"Covered in Apple woven fabric." 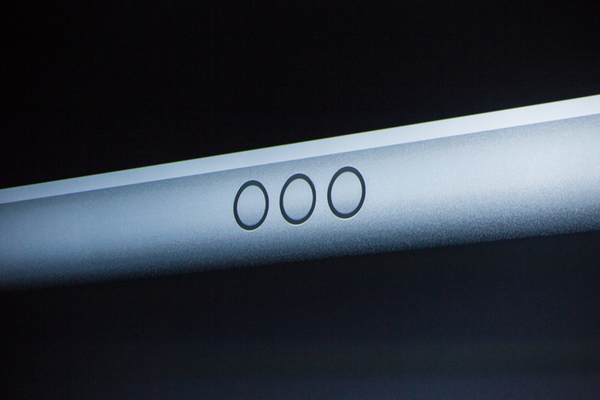 "Inside is a new Apple dome switch we pioneered with the MacBook." 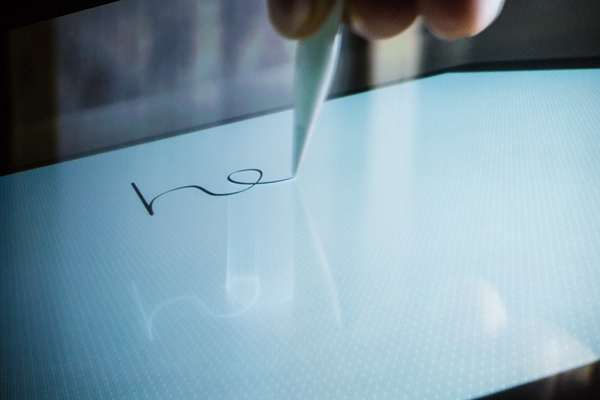 Unfolds, like smart cover. Woven fabric, unfolds, physical keyboard underneath. Keys use similar mechanisms to new MacBook. 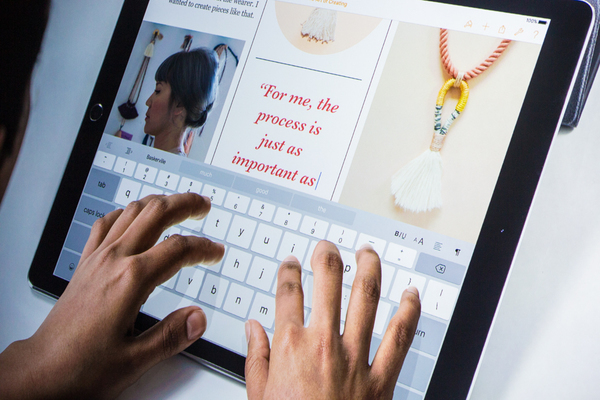 "So how do you attach the smart keyboard to the iPad Pro. 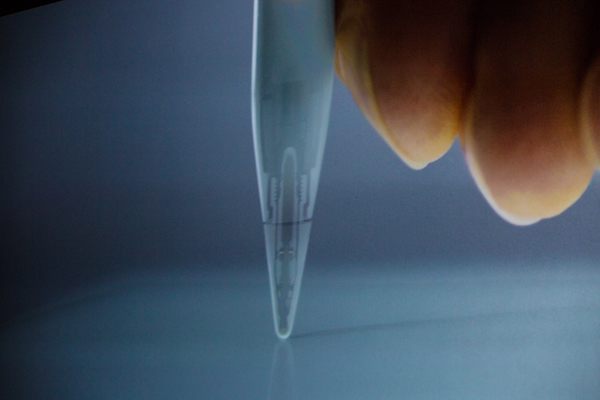 If you look closely, there are three new circles on the side of the iPAd Pro. New connector technology called the Smart Connecter. Carries power and data and connects magnetically." 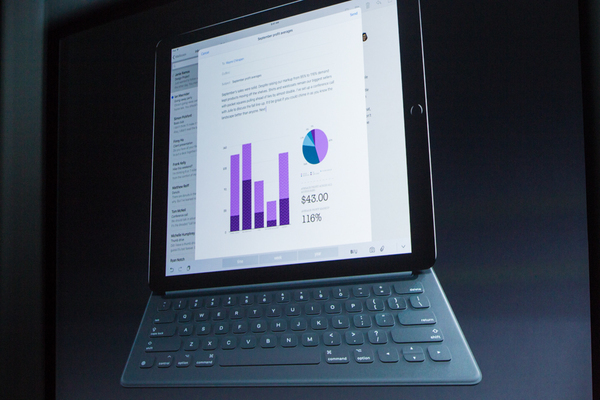 "Software in iOS 9 automatically adapts and changes because it knows you want to use the smart keyboard." Ah- those circles on side weren't buttons: it was a magnetic Smart Connector, carries power and data, iOS 9 adapts and uses peripheral. Wonder what other peripherals will arrive next. 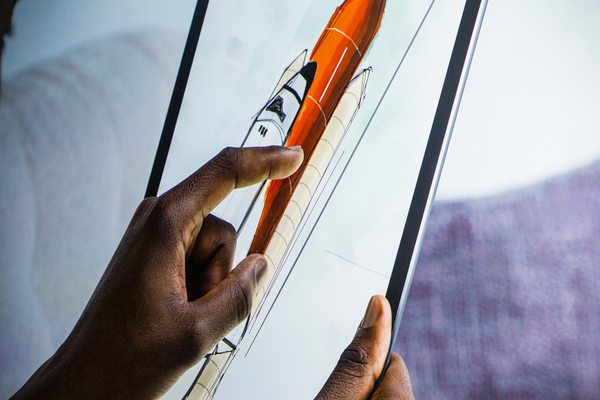 "Customers have created amazing works of art, drawing on their iPads with their fingers." "But iPad Pro is going to enable new classes of applications that require even greater precision than was available before." Keyboard looks great, but very familiar to what's out there from Microsoft. That's not a bad thing at all. 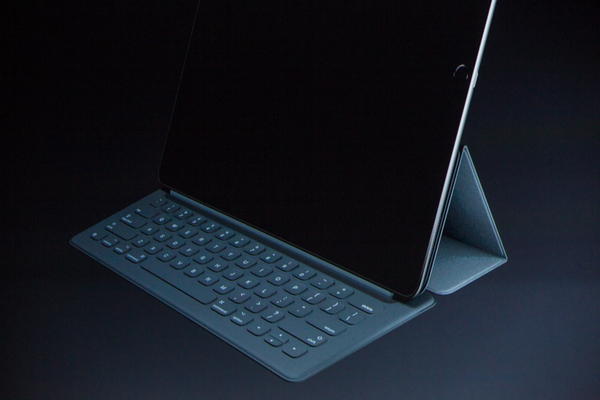 "We're so happy to introduce to you another accessory, especially for the iPad Pro." 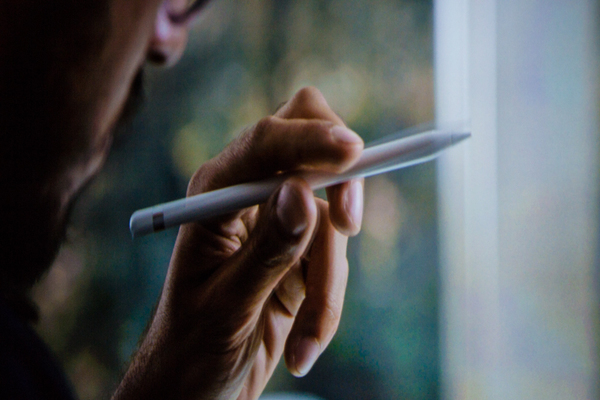 Apple Pencil: so I guess it's not a "stylus"
"When you're using the pencil, the system scans twice as often,"
"Can press lightly or harder to get a bolder stroke." "Signals emitted from two places in the tip let make shaded strokes"
Graphic designers, sound off: does this tempt you? 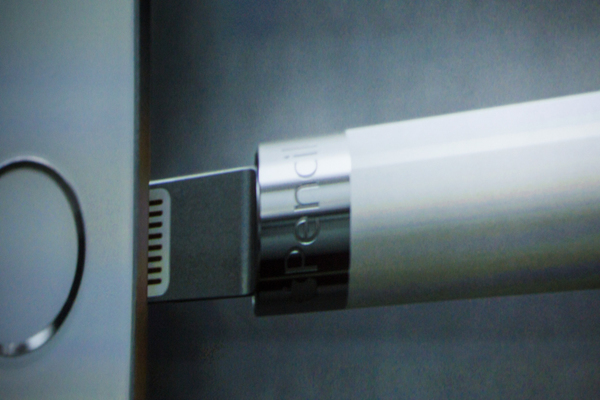 Has its own battery, but recharges via Lightning directly w iPad Pro. "It delivers something extraordinary. 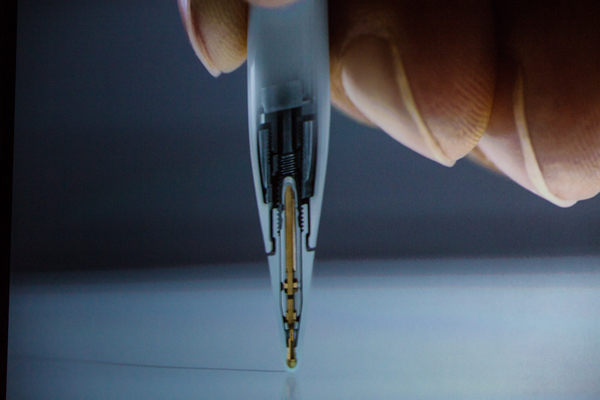 Precision that actually gives you the ability to touch a single pixel"
Existing capacitive stylus options really lacked accuracy: this helps for serious use. 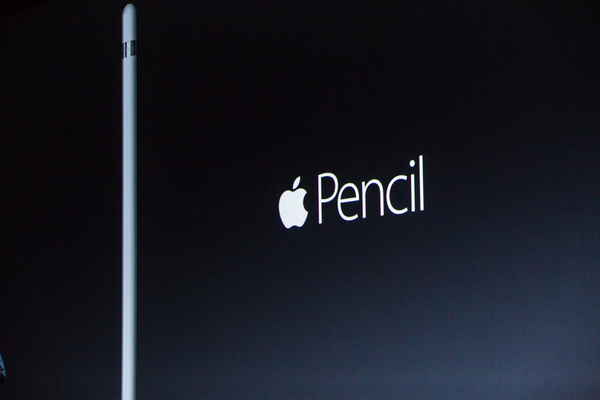 It...does look kind of like a pencil. 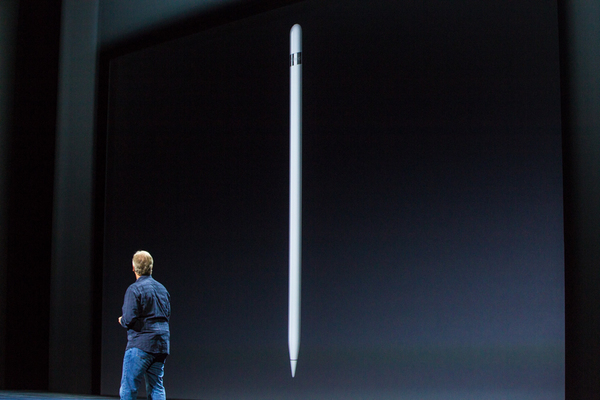 "The Apple Pencil is absolutely amazing." "They've done a remarkable job. Customers are going to feel it." Apple's built-in apps will work with it. Mail"